Dorothy E. Goodman, 89, of Grace Village Retirement Community Winona Lake, Indiana, passed away Sunday, March 8, 2009, at 4:23 a.m. at Grace Village Health Care of Winona Lake, Indiana. She was born June 12, 1919, in LaVerne California, to George and Margaret (Ward) Hay. Wanting to serve as a missionary Dorothy completed nurse’s training in Pasadena, California. While attending Grace Seminary and earning a Christian Education diploma, she met her husband, Marvin L. Goodman. On June 16, 1944, in LaVerne, California, she was married to Marvin, who survives. After a risky Pacific Ocean crossing during WWII, Dorothy and her husband took a river boat up the Congo and Ubangui rivers to the Central African Republic (CAR) where they would serve for 40 years as missionaries. As a nurse, Dorothy dealt with all sorts of tropical diseases, offering blankets to expectant mothers if they would come to the medical center to have their baby, thus preventing complications from unattended births. In the absence of a doctor she sometimes was obliged to perform surgeries to save the mothers’ lives. She also taught both women and children to read and understand the scriptures. She served the Lord faithfully as a nurse and teacher. Life was not easy in the CAR. Dorothy cooked on a wood stove, swept a sun-baked clay floor in a mud block house under a grass roof. Yet, she succeeded in making it into a home for her husband and four children. Upon retirement in 1986, Dorothy and her husband established residence in Winona Lake, Indiana, where she was active in women’s and children’s ministries at the Winona Lake Grace Brethren Church where they were members. She also operated a Good News Club from her home on the hill overlooking Billy Sunday Tabernacle. In her final years, Dorothy struggled with the debilitating effects of Parkinson’s. While her family misses her greatly, they rest in their faith that she has been ushered into the presence of her Savior. 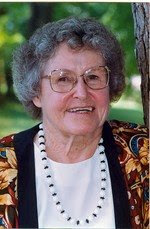 Dorothy will be lovingly remembered by her husband of 64 years, Marvin L. Goodman (Winona Lake, Indiana); two sons: David G. (wife: Nancy) Goodman (Northbrook, Illinois); Paul M. (wife: Marlene) Goodman (Houston, Texas); daughter: Anne (husband Robert) Hoy (Camp Verde, Arizona); and her son-in-law: John Zielasko (Winona Lake, Indiana). Also surviving are 11 grandchildren and 12 great grandchildren. She was preceded in death by her parents, one daughter-Suzan Zielasko, the youngest of the four children, who succumbed to cancer in October 2003 in her hometown of Winona Lake, Indiana. Dorothy was also preceded in death by her brother-Kenneth Hay; and her sister- M. Joyce Smith. Visitation will be held Friday, March 13, 2009, from 2-4 p.m. and 6-8 p.m. at Redpath-Fruth Funeral Home, 225 Argonne Road, Warsaw, Indiana. And also an hour prior to the service at the church, on Saturday from 9-10 a.m. The funeral service will be Saturday, March 14, 2009, at 10 a.m. at Winona Lake Grace Brethren Church, 1200 Kings Highway, Winona Lake, Indiana, with Pastor Bruce Barlow officiating. Burial will be at Oakwood Cemetery of Warsaw, Indiana. Memorial contributions may be made to Grace Brethren International Missions, P.O. Box 588, Winona Lake, Indiana 46590 for the Dorothy Goodman Memorial Fund. Praise the Lord for examples like Dorothy Goodman...a true hero of the faith. She will be remembered! Dear Paul and Marlene, I am truly sorry for your lost. May God bless you and your families.